“Two for three on home run balls? I’ll take that,” Upton said after his two-run shot capped a four-run, 10th-inning rally that carried the Los Angeles Angels past the San Diego Padres 6-3 on Monday night. Shohei Ohtani scored on David Fletcher’s perfect squeeze bunt, and Upton made it 6-2 when he connected off Craig Stammen (5-2) for his 25th homer. Jose Briceno, who homered early for the Angels, opened the 10th with a double but was thrown out at third by catcher Austin Hedges on Eric Young Jr.’s bunt. Briceno was originally ruled safe, but the call was overturned after a replay review. Young then stole second and Ohtani drew a pinch-hit walk to set up Calhoun’s big hit. San Diego pulled even at 2 in the eighth when Galvis scored on Hosmer’s deep sacrifice fly. Galvis led off the inning with a single and went to third on Jose Pirela’s single. Galvis hit a solo homer off Heaney in the third, just beyond the reach of a leaping Upton. One day earlier, Galvis had a grand slam in San Diego’s 9-3 win over the Phillies. Margot made the defensive play of the game with a full-out diving catch on the dead run of Jefry Marte’s sinking line drive to end the third inning. Wil Myers came off the 10-day disabled list and played third base for the first time this season — and second time in his five-year career. Of course, five of the Angels’ first six batted balls went his way. Myers caught Calhoun’s line drive, then threw out Fletcher and Upton on grounders in the first inning. Myers’ busy night didn’t end until he had recorded eight assists and one putout. Angels: Ohtani (elbow) threw a 33-pitch bullpen before the game. “Everything went pretty well,” he said through a translator. “This was a very good step for me. I’m definitely moving forward. Hopefully I’ll be able to pitch again this season.” … OF Mike Trout has left the team to handle a family matter. The Angels declined to say how long Trout would be away. The two-time AL MVP is eligible to come off the 10-day disabled list Thursday after missing time with a bruised right wrist. Los Angeles has 14 players on the DL. E_Richard (2). DP_San Diego 1. LOB_Los Angeles 4, San Diego 5. 2B_K.Calhoun (12), Upton (16), Briceno (2). 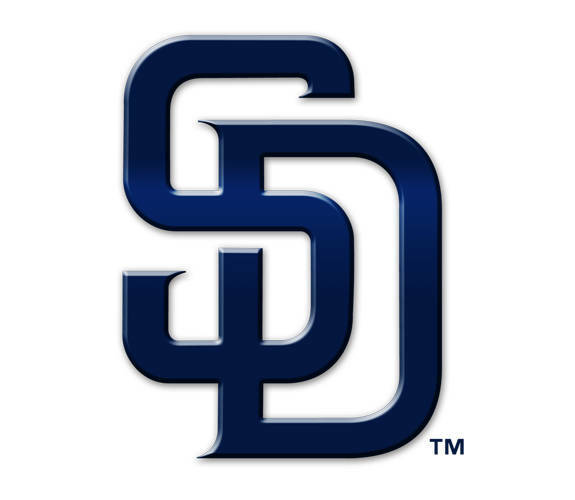 HR_Upton (25), Briceno (3), Galvis (9), Hosmer (11). SB_Young Jr. (2). SF_Hosmer (1). S_Fletcher (2). HBP_by Richard (Calhoun). WP_Richard, Anderson. Umpires_Home, Jim Wolf; First, Sam Holbrook; Second, Ramon De Jesus; Third, Alfonso Marquez. This entry was tagged Angels, Baseball, Craig Stammen, Los Angeles Angels, MAC, MLB, North Star, Padres, San Diego Padres, Versailles. Bookmark the permalink.